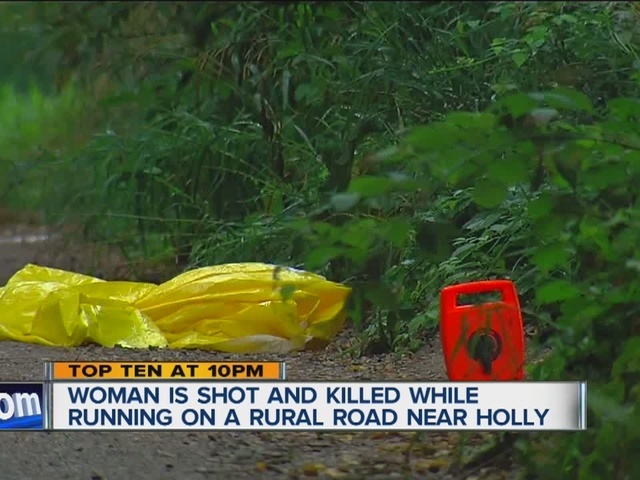 A woman who was shot and killed while jogging along a rural road in Rose Township has now been identified. According to police, the body of 31-year-old Alexandra Nicolette Brueger was discovered around 2:30 p.m. Saturday. Brueger's body was found on the front lawn of a home in the 11000 block of Fish Lake Road in Rose Township. They do not yet have anyone in custody and they have not named a suspect. Michigan State Police are asking for the public's help locating anyone who may have seen a white or light-colored sedan that was on Fish Lake Road between 2:00 p.m. and 3:00 p.m. Her parents have set up a GoFundMe account to help with funeral and medical costs. Click here to donate.